The RG500 retractable speed gate provide safe, high speed, bi-directional pedestrian throughput, with an elegant and sophisticated look, essential for today’s corporate environment. 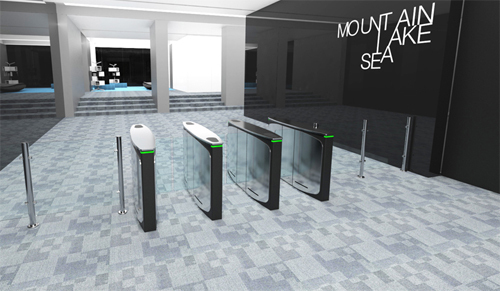 When installed in conjunction with any access control system paddle gates provide a low to medium level of entrance security. Copyright of Evolve Security Products, all rights reserved 2016.